Maybe you’re fed up with being monolingual and you’ve decided to learn another langue. But which one? Choose English: because it’s an international language, used in many intitutions, we hear it everywhere and it’s usefull to know it. 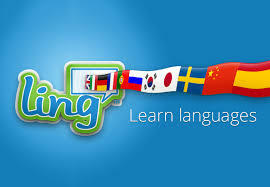 Choose a language close to yours: it’ll be easier to practice and to understand. Choose Esperante because it’s a made up language so it’s easy to learn and you’ll be able to talk with people from all over the world. Yeah, I really don’t know what to say about that! But what I can tell you for sure is that if you’re convinced by one of those three options, then go! Don’t think twice. If you’re sure it’s goog then it’s what you need. But don’t forget an essential point: no matter difficulties or obstacles, the most important thing is to choose a language that you love. We can only learn what we feel a deep interest for. No matter if the language is closer or distant from ours, if it’s spoken all over the world or not. We can find tones of very good logical reasons, if we choose with our head but not with our heart we will fail. Only genuin interest can allow us to concentrate and memorize. Wanting to seperate intellect from emotions is a huge mistake. Choose a language that you like, a language that seduces you, a culture you feel attracted to. That is the only valid advice.